Dion Dublin is an English television presenter and former footballer. Born in Leicester and of Nigerian descent, he was capped four times for England. 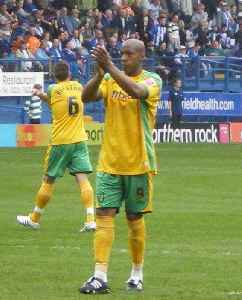 Dublin started his career as a centre back with Norwich City, but made his name at Cambridge United as a centre-forward. He then went on to other clubs which include Manchester United, Coventry City, Millwall, Aston Villa, Leicester City and Celtic.